Do these crack shows not hold up after the fervor has gone away? It’s not like I’m not one of those people who don’t enjoy a good rewatch or in book-land a good reread. If I loved the story and characters once, I have a hard time letting them go. My bulging bookshelves will verify this fact. I couldn’t tell you the amount of times I’ve seen kdramas like Pasta, Me Too Flower!, or Assorted Gems. These shows hold up to the numerous viewings. But then there are others that I may have enjoyed the first time around that just don’t have the same effect. For example, I right now I’m visiting my friend Kate who’s watching Ghost. Now, she’s loving Ghost–I loved Ghost the first time around–but this time I’m having trouble getting myself interested. Is this because there is something wrong with the shows, or is it just my notoriously short attention span? I don’t think either is correct. Yes, okay, SDH wasn’t a great show the first time around but it had so many plot twists that it kept me in my chair; however, Ghost is a freaking awesome show. When looking at the issue, I think it’s the heavily plotted show itself, the edge of your seat questions and situations, which doesn’t lend itself to multiple viewings. Once the questions are all answered, the bad guys are captured; the plot twists have been experienced, what’s left? Looking at the shows which are on heavy rotation on the rewatch list, they are all the character driven dramas. Shows more about the people themselves, their relationships, and how they deal with the general plotting around them rather than the actual twists and turns of the plot. And if a show, even if it’s excellent and makes your heart race with excitement, doesn’t focus on the characters, what does it have left? There are shows out there which are able to pair the two together well, like the underrated God’s Quiz, King2Hearts, or Can You Hear My Heart but there aren’t many as you’d think. However you look at it though, our hesitation to rewatch the not so fresh show shouldn’t negate our original enjoyment, we shouldn’t feel the need to justify the time we originally spent with these dramas, and we certainly shouldn’t hesitate to recommend them to others. It’s just that some things don’t keep; some shows are not like leftovers, better the second day. But we should enjoy them while they last and let them go because on the upside? 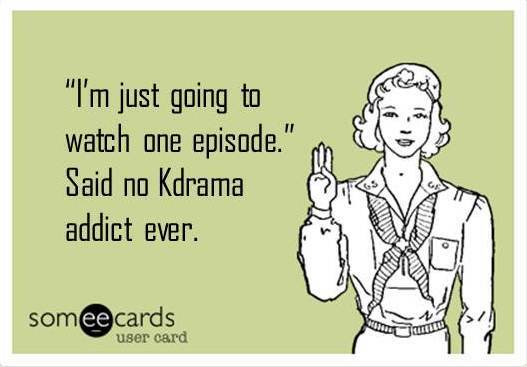 Not rewatching a drama gives us more time for new ones. Right?